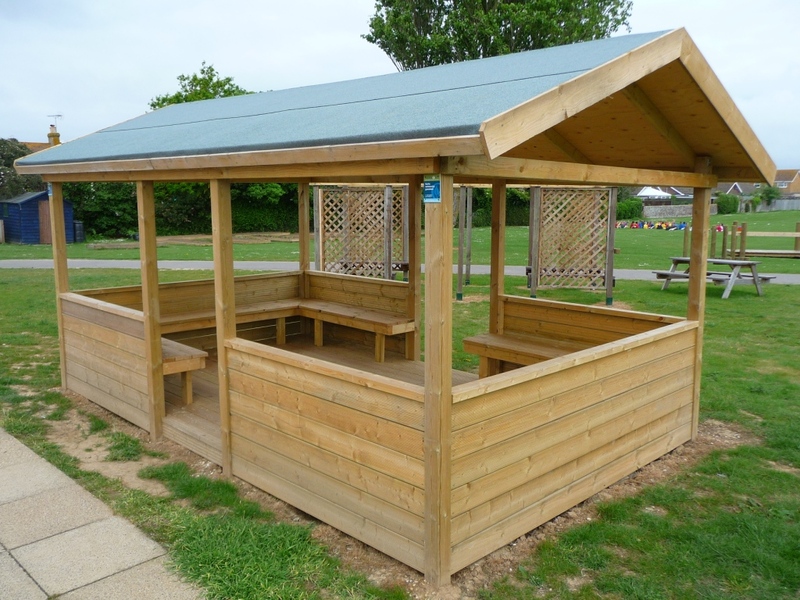 Brief: We were asked to apply our carpentry skills to a project that a school wanted built for their play ground. We suggested dimensions and ideas for the schools budget and came up with the design below. We use sketch up to create renders for our clients to visualise prospective ideas. The shelter gave the children and teachers alike a refuge from the main play area and somewhere to sit down during breaks. With winter days being quite chilly an area such as this is definitely a welcome one. 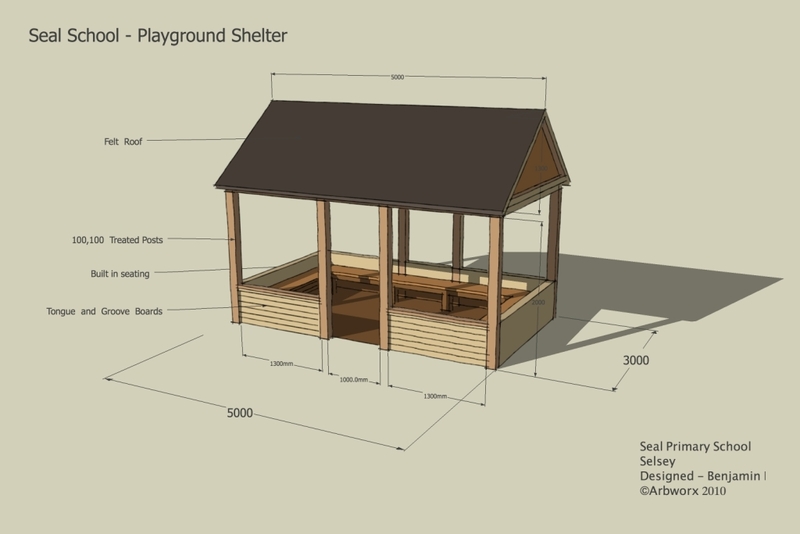 A timber framed shelter such as this is a cost effective way of helping with creating different spaces in the play area. Other methods such as metal structures are available but if you are looking to make savings and still provide an adequate dry shelter these are for you. 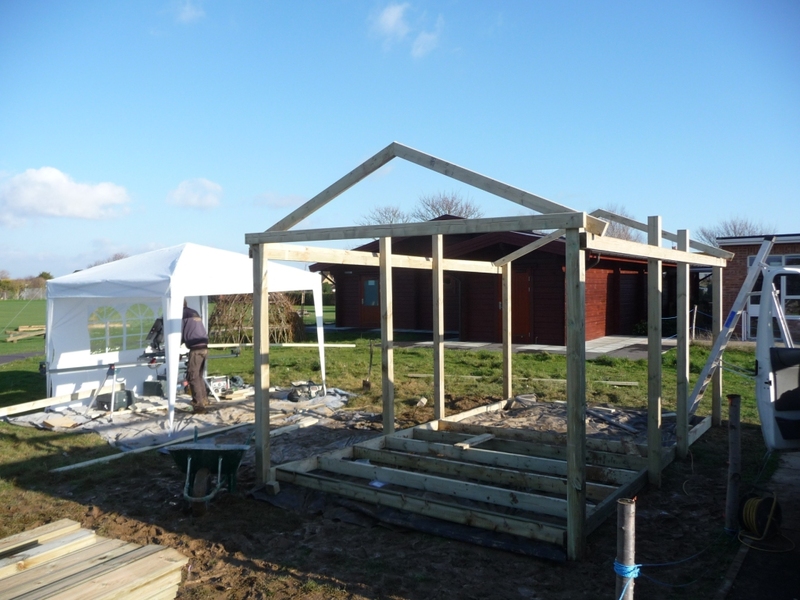 We can build any type of shelter to suit your requirements. If you have seen a shelter that is just outside your budget let us know. We can show you ways to cut costs without compromising quality.